With Rob Cowan. Including My Favourite Tenor Arias; Music in Time: Beethoven: Agnus Dei (Missa Solemnis); Artist of the Week: Daniil Shafran, featured in Rachmaninov's Cello Sonata. My favourite... tenor arias. Throughout the week Rob shares some of his favourite tenor arias, with voices both familiar (Franco Corelli, Richard Tucker and the legendary Carlo Bergonzi) and unfamiliar (Bruno Prevedi and Flaviano Labo). The repertoire ranges from the touching simplicity of Pergolesi's 'Nina' to the searing melodrama of Leoncavallo's 'Vesti la giubba', via Verdi, Giordano and Ponchielli. 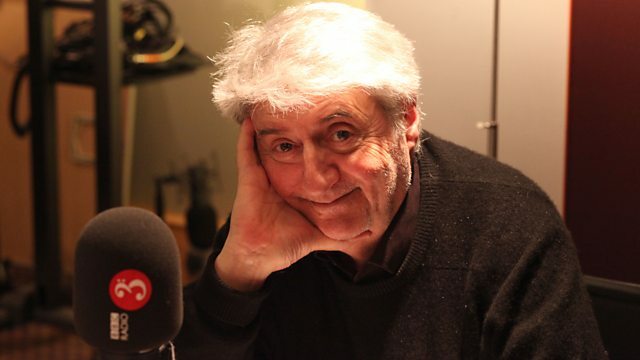 Rob's guest this week is the Tony Award-winning and Oscar-nominated actor, writer and director Tom Conti. Famous internationally for his roles in films such as Shirley Valentine, Reuben, Reuben and The Dark Knight Rises, Tom was recently voted the most popular actor in the West End in the last 25 years. Tom talks about his career-defining acting roles and shares a selection of his favourite classical music, including works by Donizetti, Handel and Verdi, every day at 10am. Rob places Music in Time. Today the spotlight is on the Classical era and the Agnus Dei from Beethoven's mighty Missa Solemnis. Originally intended for performance at the installation of Beethoven's friend and pupil Rudolph Johannes Joseph Rainier von Habsburg-Lothringen as Archbishop of Olmütz, the work grew to unpredicted dimensions and Beethoven overshot his self-imposed deadline by three years and ten days, though, by then, no-one was counting. Rob's artist of the week is Daniil Shafran, the 'other' great Russian cellist, who Rob considers to have a more individual style than the better-known Rostropovich. Shafran is deliciously quick-witted in the Shostakovich Sonata, passionate in Brahms's 2nd, and profoundly responsive to the voices of Beethoven, Chopin and Rachmaninov. His tone, full and sensual, was quite unlike anyone else's. Choir: Ambrosian Singers. Orchestra: London Symphony Orchestra. Conductor: Michael Tilson Thomas. Singer: Franco Corelli. Orchestra: Orchestra of La Scala, Milan. Conductor: Lovro von Matačić. Choir: Westminster Choir. Orchestra: NBC Symphony Orchestra. Conductor: Arturo Toscanini. Singer: Edda Moser. Singer: Hanna Schwarz. Singer: René Kollo. Singer: Kurt Moll. Choir: Hilversum Radio Chorus. Conductor: Leonard Bernstein. Orchestra: Royal Concertgebouw Orchestra. Performer: Daniil Borisovich Shafran. Performer: Anton Ginsburg.